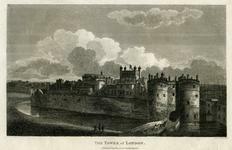 'The Tower of London', showing the bridge over the moat and the entrance through the Byward Tower, 1802. Engraving drawn by T. Taylor and engraved by Jas. Basire. 'Published 1st Augt. 1802 for the 'Monthly Register'. 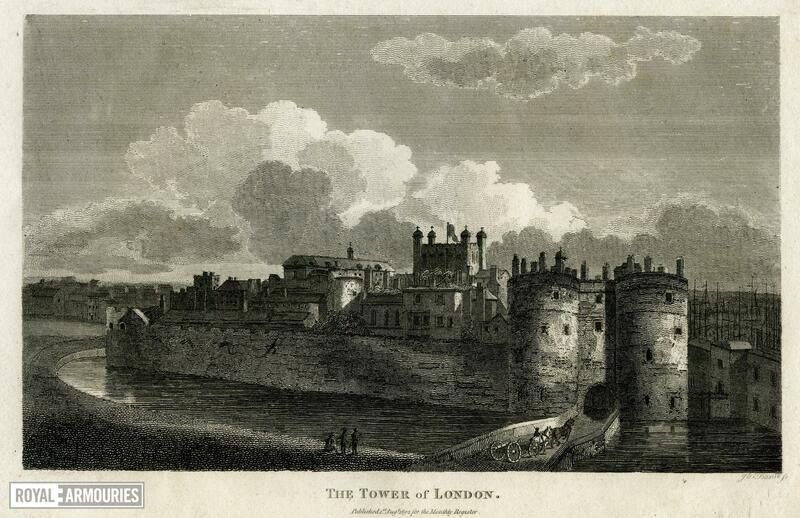 Later reissued, Brewer, 'Account of Various Palaces' ( 1821).